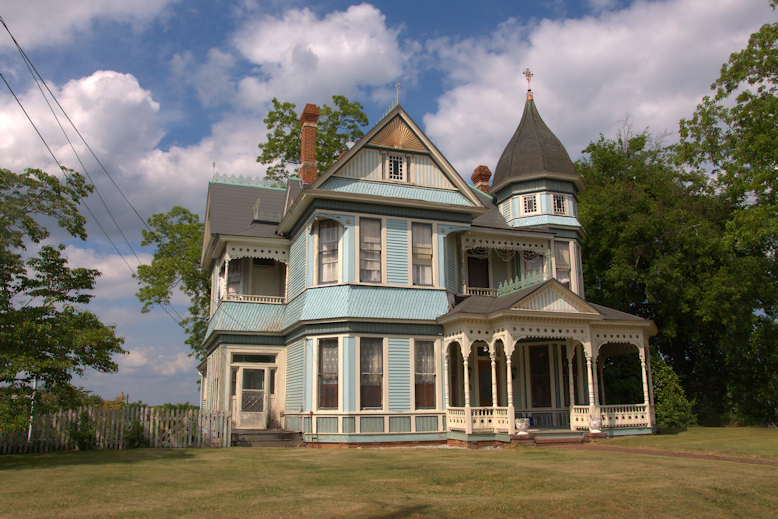 Anna King O’Neal writes: W. C. Smith was a prominent merchant, arriving in Elberton in 1880. 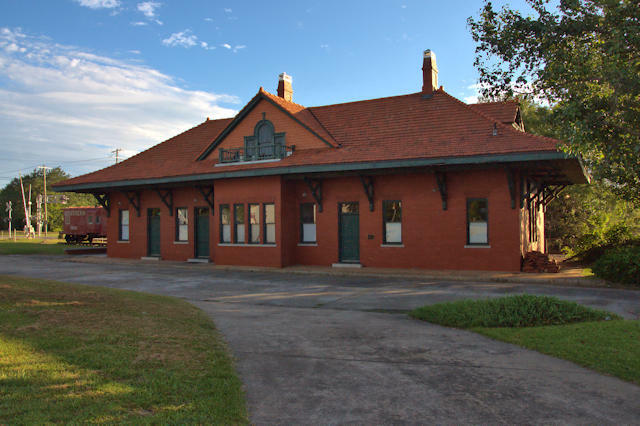 He was also a prominent member of the Methodist Episcopal Church. He died in 1909. 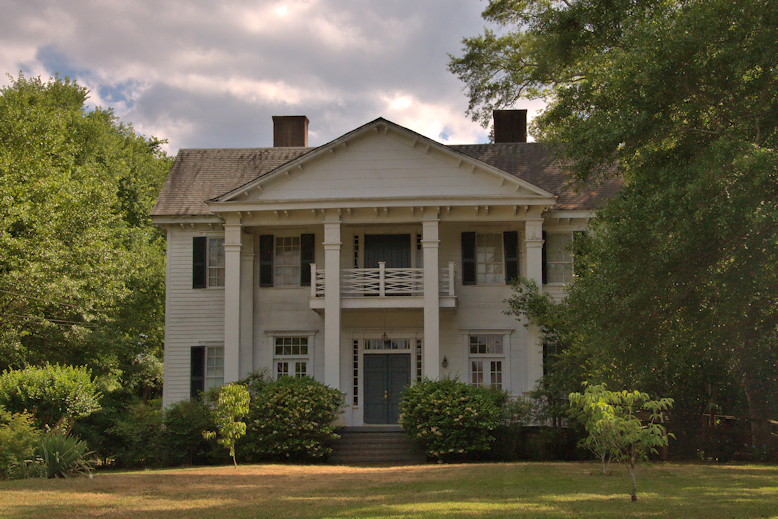 William J. Clark was a merchant and one of the leading citizens of Elbert County when he built this home, which may have originated as a Plantation Plain with Greek Revival elements added later. Clark was killed in the Civil War. Thanks to Anna King O’Neal for the identification. Diane Culpepper writes, via our Facebook page: The general store pictured above is Balchin Store on Lincolnton Highway in Elbert County. Thriving store until the early 70’s. 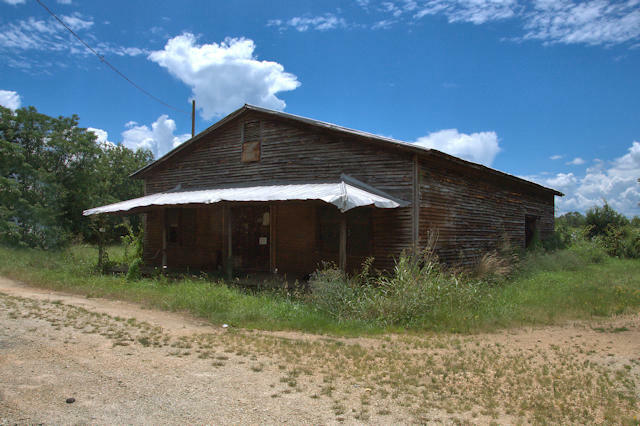 You won’t find Rice Town on any map, but it’s a settlement of many Rice family members and descendants on GA79, east of Elberton. 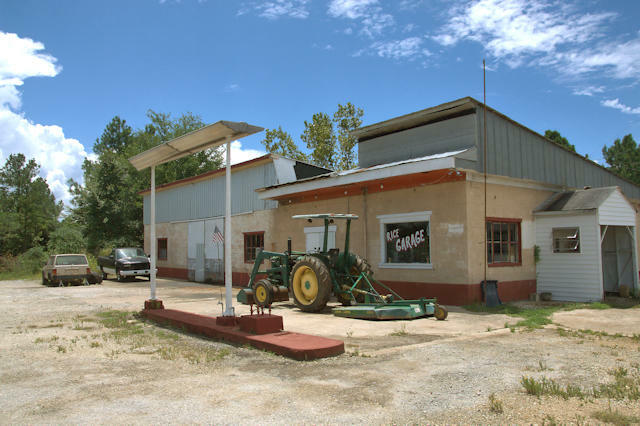 The Rice Garage looks like it may have also once had gas pumps and a country store. 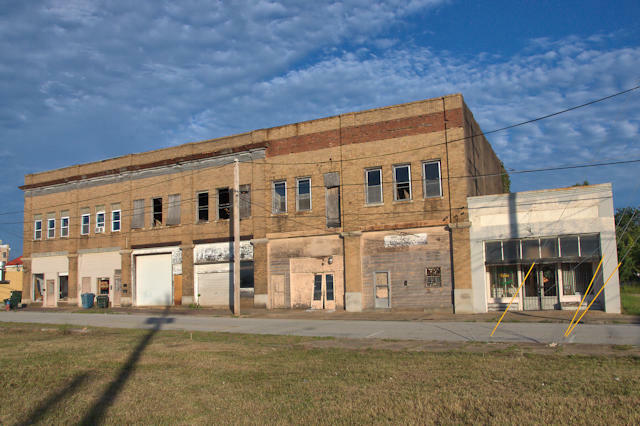 This large commercial block has been home to numerous businesses over the years, including a stone supply company and appliance service. If not too far gone, it would be a great restoration project. 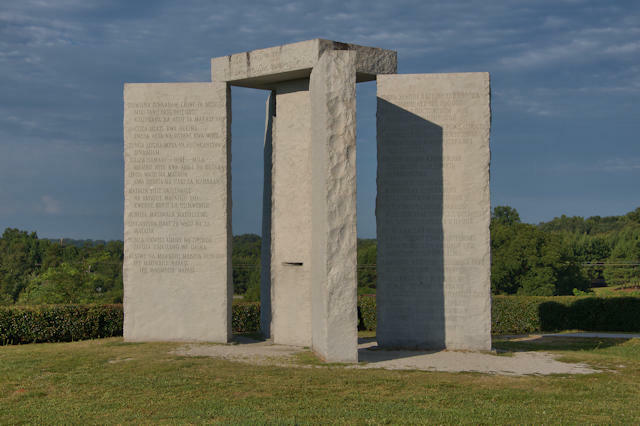 Known as the Georgia Guidestones and standing nearly 20 feet high, the six granite slabs situated beside a field nine miles north of Elberton have become a curious tourist attraction since their erection in 1980. Because of the anonymous origin and patronage of the guidestones, controversy has always surrounded them. 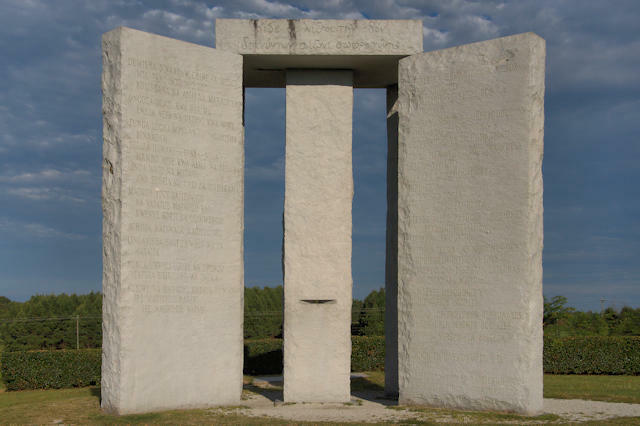 In their April 2009 issue, Wired dubbed them the “American Stonehenge” and published a great essay on their history and the ensuing conspiracy theories. 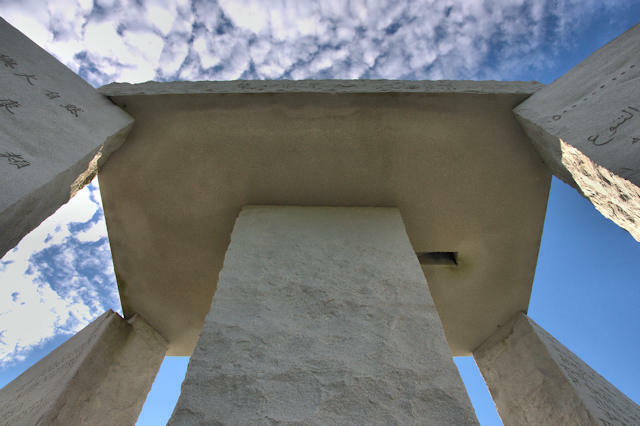 They noted that they may be the most enigmatic monument in America…inscribed with directions for rebuilding civilization after the apocalypse. Four slabs radiate from a central slab with a capstone atop the array which, when viewed from above give the appearance of a star. Ten guidelines are inscribed on the guidestones in eight modern languages (English, Spanish, Swahili, Hindi, Hebrew, Arabic, Chinese, Russian) with a shorter message inscribed on top in four ancient languages (Babylonian Cuneiform, Classic Greek, Sanskrit, Ancient Egyptian Hieroglyphs) . The ten guidelines, translated, are: 1) Maintain humanity under 500,000,000 in perpetual balance with nature. 2) Guide reproduction wisely-improving diversity and fitness. 3) Unite humanity with a living new language. 4) Rule passion-faith-tradition-and all things with tempered reason. 5) Protect people and nations with fair laws and just courts. 6) Let all nations rule internally resolving external disputes in a world court. 7) Avoid petty laws and useless officials. 8) Balance personal rights with social duties. 9) Prize truth-beauty-love-seeking harmony with the infinite. 10) Be not a cancer on the earth- Leave room for nature- Leave room for nature. 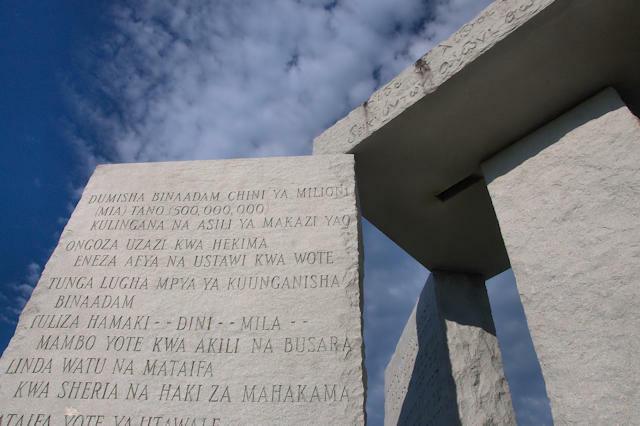 An explanatory tablet, a few feet away from the Guidestones, notes the date of dedication (22 March 1980), identifies the languages used and the astronomical coordinates of the site, and reads: Let these be guidestones to an Age of Reason.